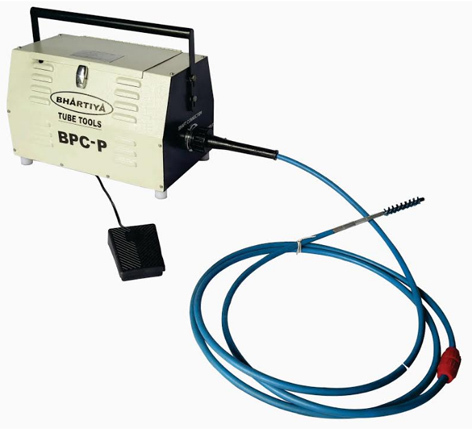 BPC- P is a portable machine which can be carried by technician on the move. 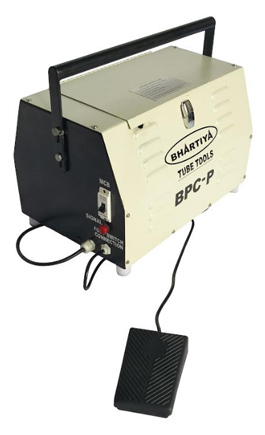 Flexible shaft rotates at speed of 1740 rpm and water gets injected simultaneously through the nylon casing to the cleaning tool. As the tool removes the deposits, the water flow flushes them out. A solenoid valve ensures that water flows only when machine is running. » While ordering, please mention electric specifications. 115v 60 Hz, 115v 50Hz - 9 Amps.220 v 60 Hz, 220v 50Hz -4.5 Amps.